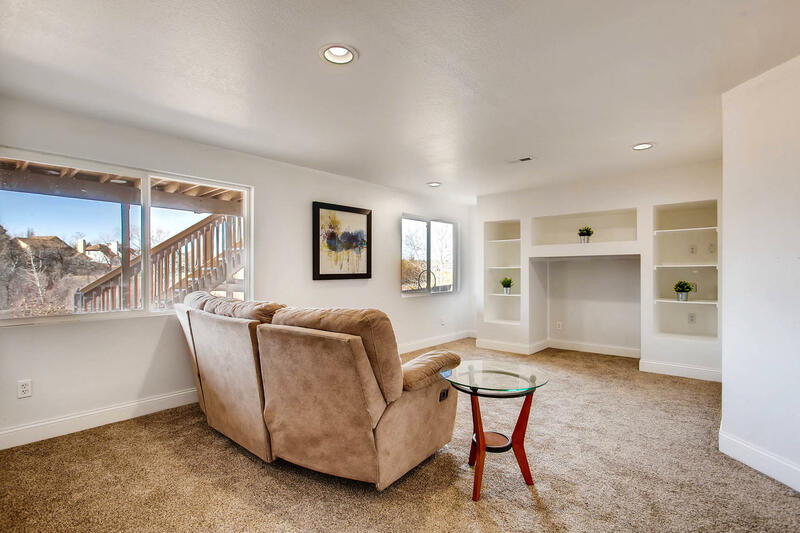 Family living is easy in this impressive, generously proportioned contemporary ranch style residence with a full walkout basement backing to beautiful open space. 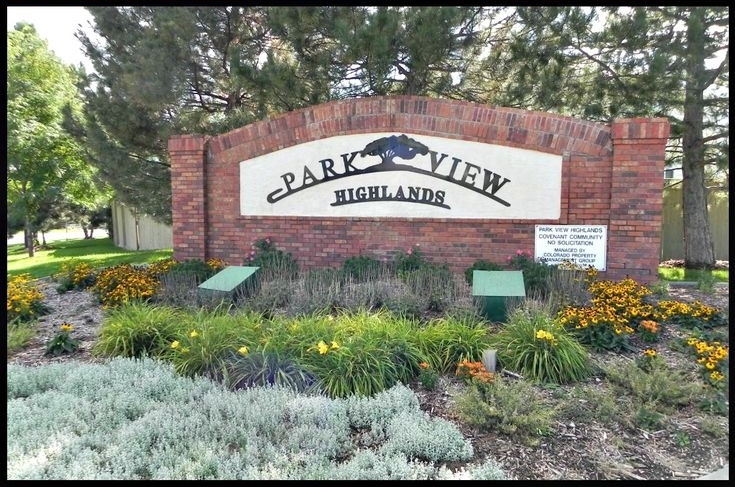 Perfectly located within walking distance to Cherry Creek elementary/middle/high schools and parks in a great neighborhood with easy commuting and access to shops, grocery, bars and restaurants minutes away. This area is HOT! Perfectly located within walking distance to Cherry Creek elementary/middle/high schools and parks in a great neighborhood with easy commuting and access to shops, grocery, bars and restaurants minutes away. You are only about 19 minutes from the Denver Tech Center and 33 minutes to Downtown, making for a very easy commute. 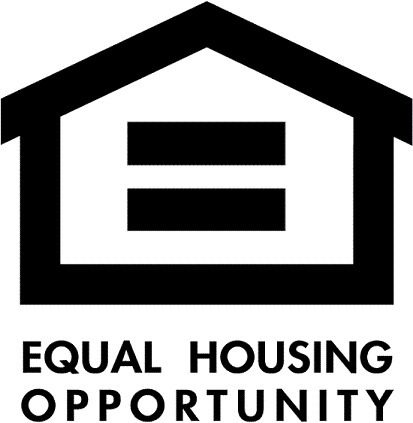 Plus being located in Centennial, means you pay affordable Arapahoe county taxes. Family living is easy in this impressive, generously proportioned contemporary ranch style residence with a full walkout basement backing to beautiful open space. Open floor plan filled with natural light streaming throughout the home highlights the beautiful hickory hardwood floors. 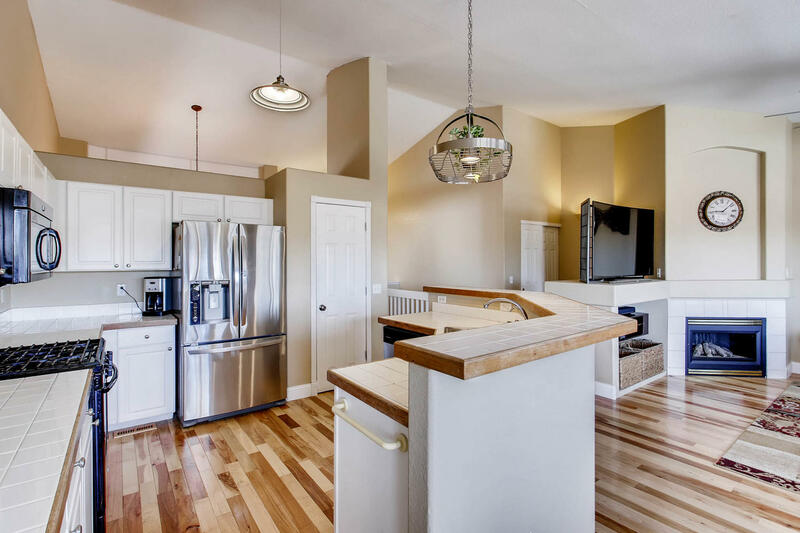 Vaulted ceilings create an airy layout perfect for entertaining around a sleek, stylish gourmet kitchen flows nicely with the dining area, expansive family room and adjoining spacious rear deck with the peaceful natural open space views. In an aggressive market like this, it has been very hard to find the perfect home with a first-floor owner's suite and laundry room. It can be a huge need for many buyers; adults that want separation from teenagers, people who don’t want to have to deal with steps before bed, someone who wants to live on one floor but have separate space for guests, etc. Everything you need is on one floor... the lower level is just a bonus! Main Floor: When you step inside, you may be taken aback by the breathtaking, two-story great room. There are windows everywhere. This space is as wide as it is tall and is centered around a lovely fireplace. The living space transitions easily to the eat-in dining space. The back wall is full of windows letting in lots of light and overlooking a beautiful greenbelt open space. A breakfast bar separates this dining area from the kitchen but the continuation of the hardwood floors connects the rooms visually. 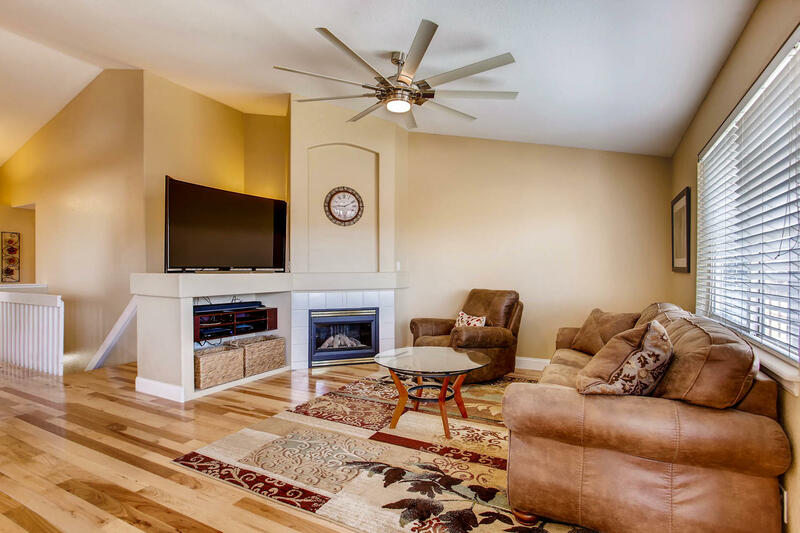 Just off the family room, your owner's private suite is tucked away in the back of the home. It is nice to have a significant separation from the rest of the bedrooms in the house. Not to mention, if steps become an issue for any reason, you won’t have to worry about them before bed. 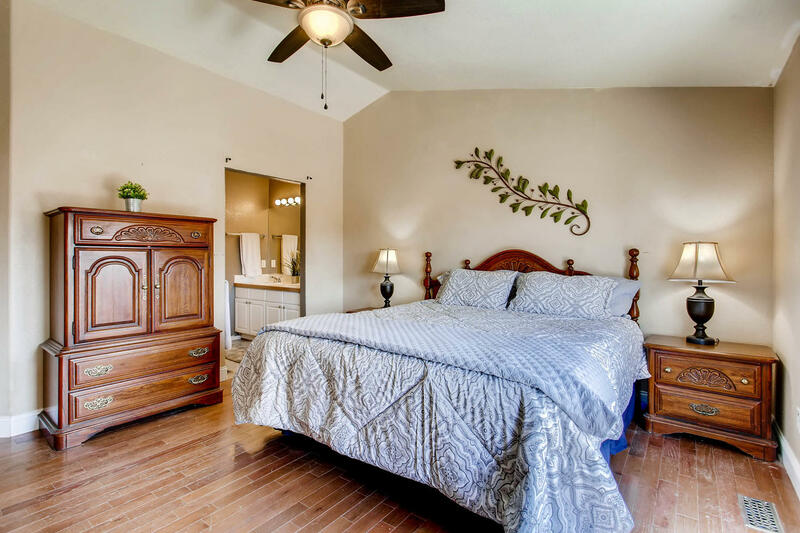 This en-suite features a large bedroom, walk-in closet, and a bathroom with double vanity and large shower. Lower Level: The walkout basement is full and HUGE, doubling the the living space.
. It is also plumbed for a full bathroom to save you a trip back up the stairs. In Colorado, we love spending our summers outdoors after being cooped up all winter. This patio and deck will be the perfect space to dine, read, or relax while leaving enough lawn for Fido to run because the yard is fenced!